The affordable, easier to install, complete diagnostic coverage valve condition monitoring equipment and system you have been asking for is now available from Score Diagnostics Limited, part of the Score Group of companies. Score’s enhanced V-MAP® G3 system gives process plant owners, integrity and safety assurance engineers, and maintenance personnel enhanced visibility of critical valves' condition and performance indicators. This makes developing failure modes in valves and their actuators quickly and easily identifiable.  V-MAP® G3 further extends the Score range of diagnostic equipment and systems available for monitoring valves’ in-service performance over time. It is no coincidence that this has happened at time when there is an increasing pressure on our customers to comply with operational safety, integrity and quality standards such as IEC 61508/61511, ANSI/ISA-84.00.01, ISO 55,000, ISO 9001:2015 and of course to respond to industry concerns over ageing assets - as evidenced for example by the UK Health & Safety Executive’s recent KP4 programme for life extension and inspection.